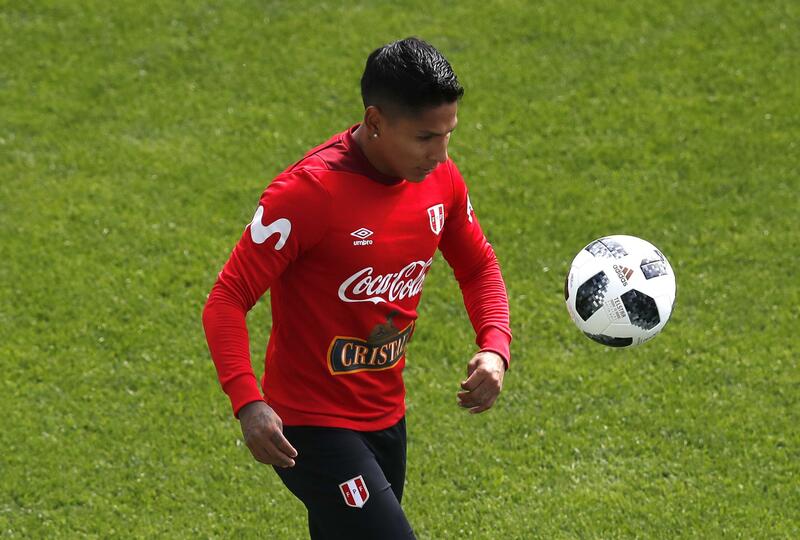 TUKWILA, Wash. – A 5-foot-7, 145-pound Goliath walked into Sounders camp Friday, the slender frame of Peruvian striker Raul Ruidiaz representing the best hope in months that the two-time defending MLS Cup finalists will stop being pushed around. The Sounders have been used as a Major League Soccer doormat since the season’s opening whistle. Even the weakest, most downtrodden opponents have stolen points at CenturyLink Field, knowing the Sounders would be hard-pressed to score if handed an empty net from 10 paces. That stops now, thanks to new scoring muscle that can lounge behind the wheel of a compact car with room to spare. Or, at least the lack of scoring should eventually stop for good if the Rave Green somehow figures out how to score more goals than the opposition before Ruidiaz gets on an MLS field come mid-July. One of those must-score opportunities arrives Saturday, when the Sounders play host to the visiting Portland Timbers in Cascadia Cup action ahead of hitting the road for three consecutive matches. Ruidiaz should be eligible to play by the third of those road contests, meaning his team must avoid falling too far out of a playoff spot ahead of that. Goal-thirsty Sounders fans might require neck braces from nodding their agreement too vociferously. They’ve seen their team score just 12 times in 14 games. The two highest-paid Sounders players, Nicolas Lodeiro and Clint Dempsey, have just one goal apiece, and Nos. 3 and 4 on the payroll list, Osvaldo Alonso and Victor Rodriguez, have zero. In fact, the eight highest-paid Sounders have just three goals among them – a recipe for disaster on any MLS roster. Hence, the 3-8-3 team spending $14 million on Ruidiaz, a guy that kisses a hand tattoo of his mother every time he scores. He’s had plenty of practice at the move, potting 20 goals two years ago in his first Liga MX campaign with Morelia and another 20 last season. And his new teammates likely will kiss his hand, his mother or Ruidiaz himself if he can continue a 20-goal pace over the final half season this year to salvage a Sounders playoff berth the way Lodeiro did two years ago. “It’s an opportunity that I’ve always wanted to have here,” Ruidiaz said. It’s doubtful he was discussing singlehandedly rescuing a team that often can’t shoot straight. More, the opportunity of greater exposure in a growing league that gets on American television. “It’s a league that is growing and very competitive, and I want to have an opportunity to grow with the league as well,” he said. And for all of his goal-scoring ability, which caused the Sounders to pay a transfer fee of $7 million – $1 million more than Lodeiro’s former team received in 2016 – on top of $7 million in salary over 3 1/2 seasons, Ruidiaz will have to grow with his teammates for this to work. One player isn’t about to change the second-worst team in MLS into an overnight juggernaut without help. The hope is that Ruidiaz’s pure scoring skill, coupled with Lodeiro’s world-class playmaking and others doing their part, helps everybody click at a higher level. Dempsey isn’t about to score 20 goals, or even hit double figures again. But he’s shown signs of life more recently when surrounded by better players coming off injury and could be a strong complementary piece if somebody else is tasked with finishing off the majority of chances. And frankly, it bears repeating: Unless the Sounders figure some things out Saturday against Portland and in the two remaining games before Ruidiaz can play, this all might be moot this season. The Sounders aren’t about to reel off 17 consecutive wins, even with Ruidiaz smooching his mother’s tattoo until the ink rubs off, so they need to accumulate some points these next two weeks. “It still helps the team knowing that he’s here,” Sounders coach Brian Schmetzer said. “Knowing that he’ll train a little bit and help the squad. I mean, it’s still a boost. Schmetzer feels the training has been strong the past few weeks. He hopes Dempsey got a spark from scoring his last time out and resumes his traditionally stellar play against Portland. The Sounders might need some spark, with goalkeeper Stefan Frei still in concussion protocol Friday and uncertain to start. Schmetzer said the team knows what it has to do. And they’ll need to dig deep again if Ruidiaz is to have a shot at making a 2018 impact. Published: June 29, 2018, 9:08 a.m. Updated: June 29, 2018, 6:30 p.m.